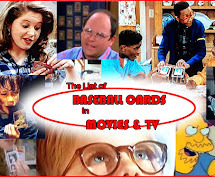 Baseball Card Breakdown: Julie trade cont. I stayed home from work today due to a low-grade cold, and plus there's not much for me to do there right now while a technical issue crippling my productivity gets resolved. But hey, it was a productive "card day" for me and I did a bunch of sorting/organizing. 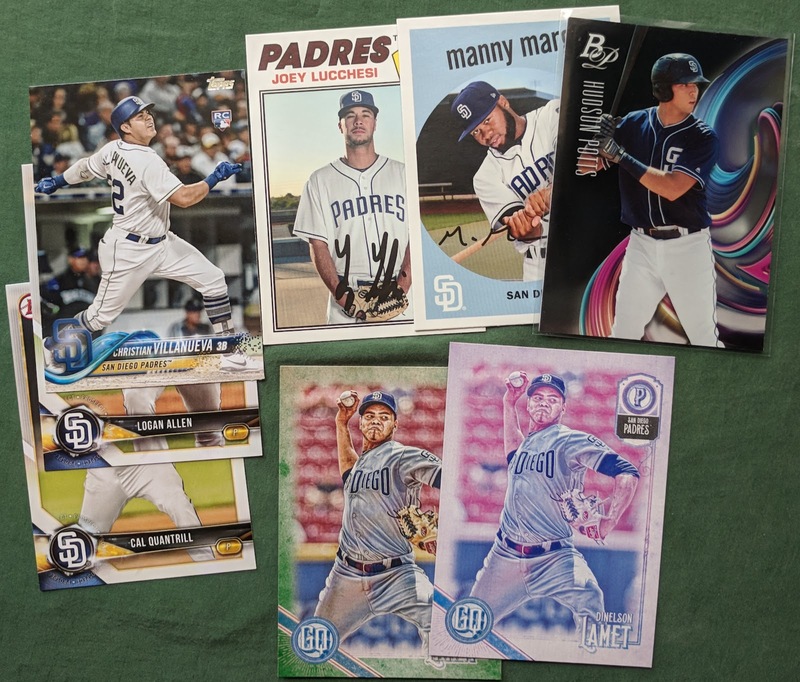 And I'm also getting to this "thanks for the trade" post I've been meaning to write. 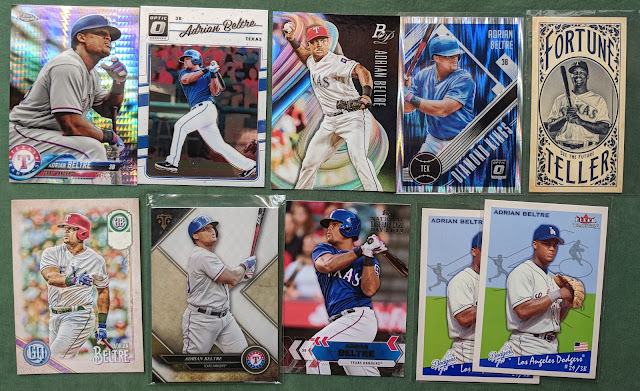 The recent card package from Julie was so nice, I had to split it into a couple posts. First was retired players, now this post is for the active guys. 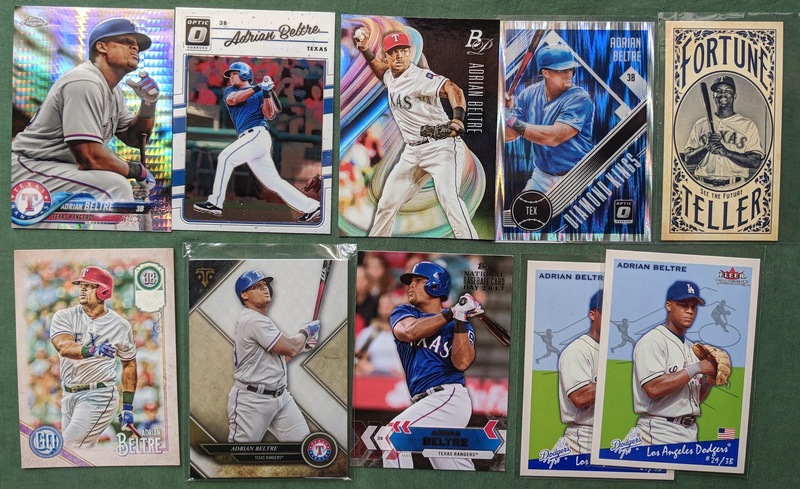 Great Adrian Beltre lot! I think these have gotten the PC to the 100-card threshold. 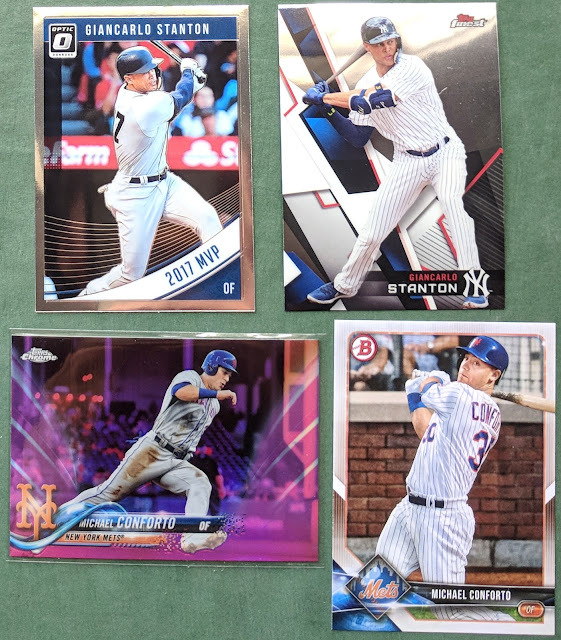 Exciting, young infielders of today. Mookie, Bryant, and Adam Jones. 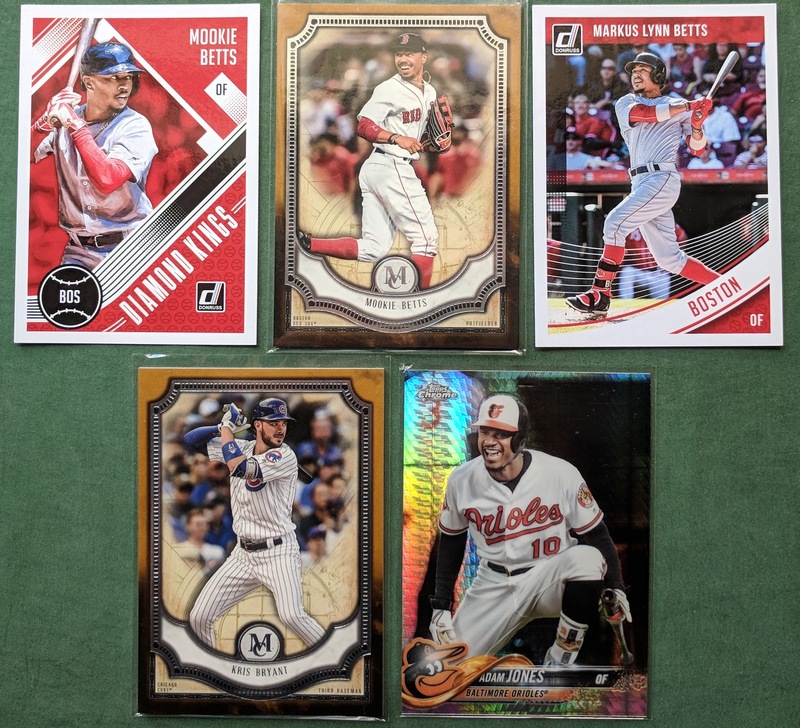 The Museum Collection base cards look ok. And love the fishfractor. 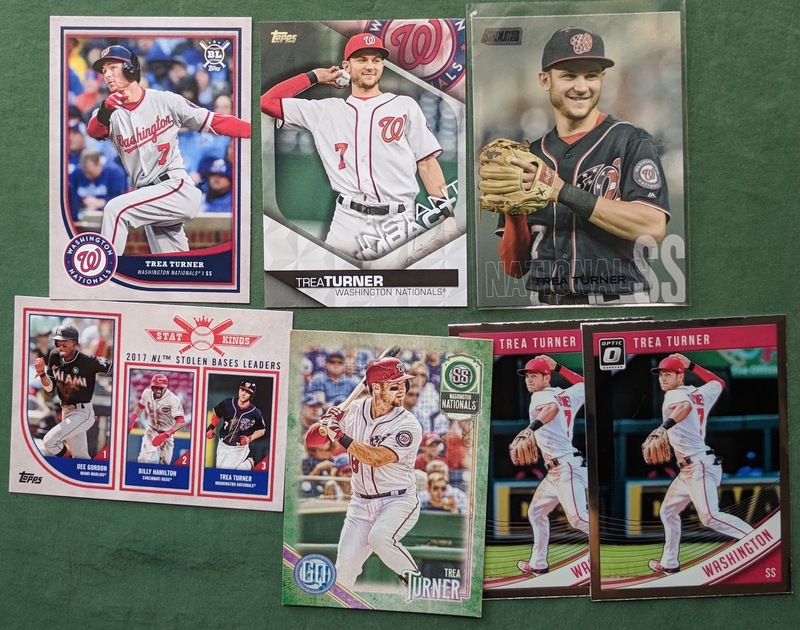 A mess of Trea Turner cards. 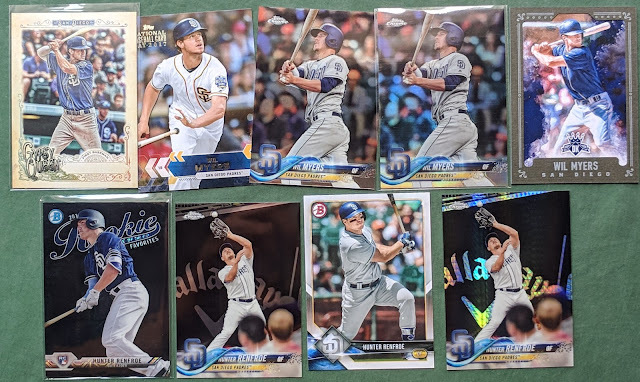 Wil Myers and Hunter Renfroe seem to be the Pads with most cards out there these days. And some more young Friars. Thanks again, Julie! Great stuff. Working on a return package for you. GQ Fortune Teller inserts rule! 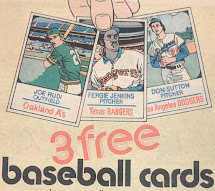 Those Museum Collection cards are sweet! 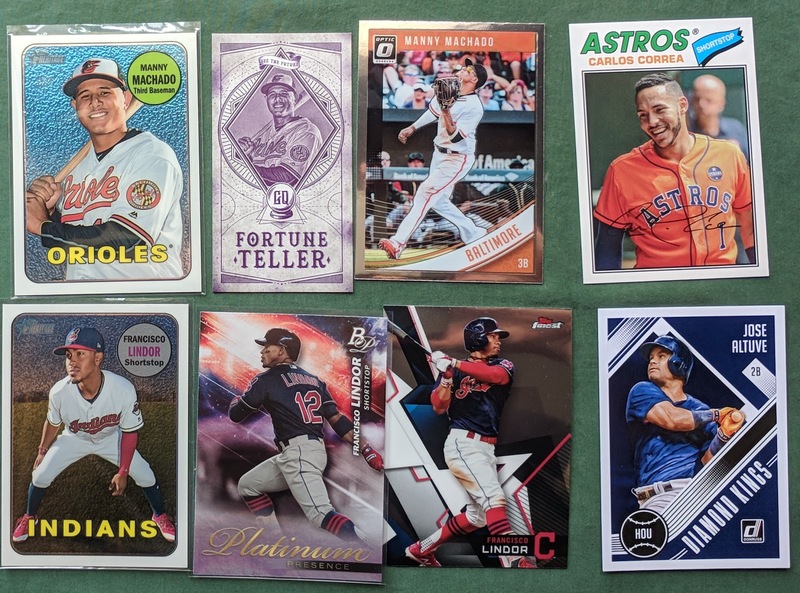 GQ Fortune Tellers and Tarot cards were some of my favorite inserts of late but feature no Altuve which saved me from assembling the set. Thank you GQ!